avivey added a comment to T6722: Support "Create similar repository..." in Diffusion. I think a more powerful approach is to support some kind of "templates", so that we can create a new "Android App" repo or "COM Module" repo directly, similar to how IDEs have project templates. remusvrm awarded Changelog a Like token. avivey added inline comments to D20430: Update documentation for "uri.allowed-protocols". avivey accepted D20431: Show a warning when "git" is too old to support filesize limits. avivey accepted D20430: Update documentation for "uri.allowed-protocols". avivey created T13270: Diffusion [Code] button always goes to root of repo. avivey accepted D20317: Fix transaction queries failing on "withIDs()" after clicking "Show Older". avivey added a comment to T13264: Maybe stack multiple breadcrumb sequences?. We should log all the paths used to get to each page, and then show all of them in a big combo box, and when you select one, update your browser's history to match that path! avivey retitled D20194: Display some invisible/nonprintable characters in diffs by default from Display some invisible/nonprintable characters by in diffs by default to Display some invisible/nonprintable characters in diffs by default. avivey awarded T13245: Improve MFA security by using replacing SMS code digits with emoji a Party Time token. avivey added a comment to T9044: arc diff eagerly detects git-svn repo, which makes arc-patch hang. In https://discourse.phabricator-community.org/t/2334, thopre suggests checking for git config --get-regexp svn-remote to see if the repository is configured as git-svn repo, as an alternative to check if .git/svn/.metadata exists. avivey added a comment to T13224: Pygments Bash lexer has explosive complexity on unterminated strings with many backslashes. D212: Fix daemon issues caused by Ubuntu's surprising intermediary shell? avivey created T13239: null pointer exception in PhabricatorPeopleWelcomeController. avivey added inline comments to D19995: Use the customizable "Welcome Mail" message in welcome mail. avivey added a comment to D19988: Add "Contact Numbers" so we can send users SMS mesages. I have some war stories about normalizing phone numbers... IIRC, the worst offender is Brazil (numbers may vary in length). avivey changed the visibility for T1394: Support creating audits with inline comments through the API. avivey awarded T13229: On Third-Party Integrations a Yellow Medal token. avivey added a comment to T13231: Duo MFA Support. I expect Google to expose a similar solution to Duo soonish (if you use Android and try to login to Google, MFA is just like Duo now). avivey added a comment to T13230: Native Applications. avivey renamed T13230: Native Applications from Native Mobile Applications to Native Applications. avivey renamed T13230: Native Applications from Native Applications to Native Mobile Applications. avivey added a comment to T13227: Figure out if Google Auth needs to be updated before Google+ shutdown on March 7, 2019. Since the google-api is also disabled by default in Google Cloud env, I had to make changes to some other oauth provider at https://gitlab.com/SirEdvin/sanic-oauth/commit/fae23f6b35517dd9e8bec328dbb4dc883e033d78. There, the g+ api was only used to get the user's email, iirc, and an alternative exists in https://www.googleapis.com/userinfo/v2/me. avivey awarded D19877: Move user approval to modular transactions a Like token. avivey accepted D19808: Fix flickering tooltips in Chrome when the tip container overlaps the triggering element. avivey added a comment to E1209: Pull that into png. The alert poped up just now (5pm, end-of-day), but this was a whole-day event! We missed the whole thing! avivey committed rARC3534d2baca4b: Small ReMarkup fix (authored by avivey). avivey closed D19794: Small ReMarkup fix. avivey awarded T13217: Upgrading: Hardening of qsprintf() a Like token. avivey added a comment to D19794: Small ReMarkup fix. avivey added reviewers for D19794: Small ReMarkup fix: epriestley, amckinley. avivey updated the diff for D19794: Small ReMarkup fix. avivey requested review of D19794: Small ReMarkup fix. avivey accepted D19770: Correct an ambiguous regexp in DiffusionRequest. avivey added a comment to D19639: Make the Arcanist comment remover less aggressive about stripping instructional comments. 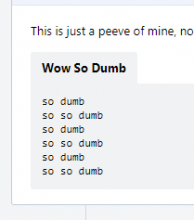 https://discourse.phabricator-community.org/t/latest-arcanist-incorrecly-parses-comments/2013 reports an issue with this new behavior - probably if the Subscribers is left empty, the parser takes the first line of the comment. avivey added a comment to T8440: Tooltip flicker at certain cursor positions. 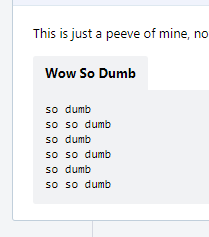 https://discourse.phabricator-community.org/t/differential-ui-tooltip-flicks-on-hover/1970 has some css witchcraft to make this not happen. avivey changed the visibility for T3130: Improve recognition of symbols in Java. 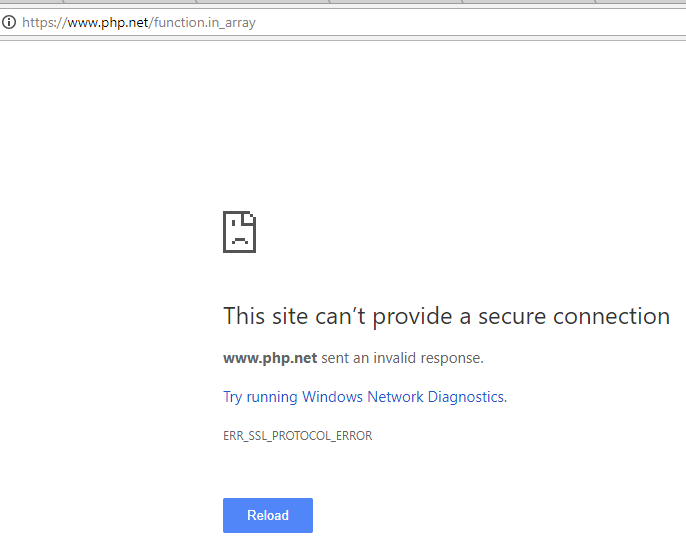 avivey added a comment to D19629: Link to PHP external symbols using HTTPS. avivey added a comment to T13178: Plans: Support Pact Competitive Update. A related score-board might be to show mana-rich tasks. 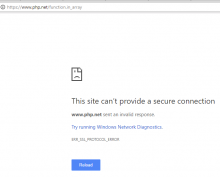 avivey merged T13181: Phacility: email address already in use - blocks user into T13156: Plans: Improve Phacility UI for managing instance managers and cards. avivey merged task T13181: Phacility: email address already in use - blocks user into T13156: Plans: Improve Phacility UI for managing instance managers and cards. avivey created T13181: Phacility: email address already in use - blocks user. avivey awarded T13178: Plans: Support Pact Competitive Update a Party Time token. avivey added a comment to T9456: Evaluate upstream support for third-party build systems. avivey created T13170: Conduit "maniphest.search" method call allows ordering by "project" column on arbitrary queries, but this internal column is only meaningful when "Group By" is "Project". avivey committed rARC875d01836037: Fix `arc diff` when adding large new file with new git (authored by avivey). avivey closed D19513: Fix `arc diff` when adding large new file with new git. avivey requested review of D19513: Fix `arc diff` when adding large new file with new git. avivey added a comment to Q268: There is a way to "personlize" arcanist default template? (Answer 304). I think the label Maniphest Tasks is no longer rendered, because the tasks are being parsed from the message body ("fixes Txxx"). avivey added a comment to T13158: View query results as annotatable "spreadsheets". This sounds similar to "Customize Fields Shown In List View", except that it allows per-view customization (And a DSL for "view" instead of property on the Field, as in T418). avivey accepted D19500: Fix changeset construction special case for empty commits in pre-commit hooks. avivey added a comment to T13157: Provide more advanced tools for developing against Phabricator and discovering PHIDs. avivey changed the visibility for P1993 GetDependenciesWorkflow.php. avivey awarded T13157: Provide more advanced tools for developing against Phabricator and discovering PHIDs a Love token. avivey created T13155: Empty commit causes diffusion error output (but doesn't fail). avivey committed rGITTEST75cff161bdc4: empty commit! (authored by avivey). avivey committed rPdbe72df55726: minor: fix translation error in exception (authored by avivey). avivey closed D19463: minor: fix translation error in exception. avivey added a comment to Q645: Aphlict start causes exception, seemingly when its log file location is changed (Answer 567). Also, Support has basically moved to Discourse now. avivey requested review of D19463: minor: fix translation error in exception. avivey added Q645: Aphlict start causes exception, seemingly when its log file location is changed (Answer 567). avivey added a comment to T418: Integrate CustomField into more interfaces. From https://discourse.phabricator-community.org/t/how-to-get-custom-field-of-transactiontype/1532 (and my followup research), there doesn't appear to be a way to extract custom field information using conduit (or Herald Web Hooks). transaction.search actually lists type as null and no fields. avivey accepted D19457: Add "max-width: 100%;" to stop large images from overflowing the new rendering engine UI. avivey changed the visibility for T3071: add support for OpenSearch to phabricator. avivey added a comment to T12963: Aggregate similar stories in Feed, Notifications and Timelines. See also long chatter in https://discourse.phabricator-community.org/t/request-less-obtrusive-status-updates/1530. avivey triaged T13148: css: ginormous images go over preview panel in Files as Low priority. avivey renamed T13147: tab freeze when hitting backspace in empty tokenizer from tab freeze when hitting backspace in empty picker to tab freeze when hitting backspace in empty tokenizer. avivey created T13147: tab freeze when hitting backspace in empty tokenizer. avivey added a comment to T8093: Evaluate virtualizing Git refs by proxying the protocol. Very soon now, git is getting an exciting new wire protocol. Highlights are improving performance on repos with unholy amount of refs, and being "easier to expand". avivey created T13139: Custom linters have no easy way to get line+char from char-offset in file. avivey committed rP728130044652: Allow number in generated clone uri (authored by avivey). avivey closed D19447: Allow number in generated clone uri. avivey requested review of D19447: Allow number in generated clone uri. avivey edited the content of 2018 Week 17 (Very Late April). avivey updated the task description for T13132: `arc download` broken for non-CDN Phabricator . avivey created T13132: `arc download` broken for non-CDN Phabricator . avivey accepted D19404: Fix a typo in the Diffusion importing user guide. This is probably much clearer now. avivey added a comment to rP15e6e2adea61: Update install_ubuntu.sh to the new age. avivey added a comment to T13130: Plans: 2018 Week 17/18 Bonus Content. See PHI251. This requests an "Ignore generated changes." option for Owners. Historically, an issue with this was my hesitance to add more "Add Owner As Reviewer If Moon is Full" builtin rules to Owners: Herald already allows you to implement arbitrary rules with Owners, and an implementation of Herald where every possible rule is a dropdown option obviously isn't very good. avivey committed rP15e6e2adea61: Update install_ubuntu.sh to the new age (authored by avivey). avivey closed D19394: Update install_ubuntu.sh to the new age. epriestley awarded D19394: Update install_ubuntu.sh to the new age a Doubloon token. avivey added a comment to D19394: Update install_ubuntu.sh to the new age. Incidentally, the first page shown after the install (as of 4dc8e2de564f48) is a white exception page with [Core Exception/Exception] Define 'phabricator.base-uri' in your configuration to continue..
avivey requested review of D19394: Update install_ubuntu.sh to the new age. avivey added a revision to T4200: Building OS packages and install scripts: D19394: Update install_ubuntu.sh to the new age. avivey added a comment to T4200: Building OS packages and install scripts. install_ubuntu.sh seems to be completely broken for modern Ubuntu. I don't mind updating it, but I think we discussed dumping it completely? avivey added a revision to T5936: Support terminating builds, terminating remote processes and build steps: D19376: Add an "Abort Older Builds" build step to Harbormaster. avivey added a task to D19376: Add an "Abort Older Builds" build step to Harbormaster: T5936: Support terminating builds, terminating remote processes and build steps. avivey awarded T13127: Plans: Form Steering Committee For "+/-" Line Indicators a Dat Boi token. avivey added a comment to T3626: Detection of language for some file types isn't good. Oh, good, it's about time this task be created! avivey added a comment to T13118: Code block headers wrap in the dumbest way in Safari. avivey changed the visibility for T1349: Warning about commenting on older diffs. avivey accepted D19251: Add a basic Remarkup document rendering engine. avivey added a comment to T13105: Plans: Rich presentation and diff rendering pipelines for various file types. I'm wondering how this should interact with T8407: Control diffusion's syntax highlighting. avivey awarded T13105: Plans: Rich presentation and diff rendering pipelines for various file types a Love token. avivey added a project to T10611: No option to specify a Space when editing a Project's visibility policy: Projects. avivey awarded T13107: Git, Slowly and Painfully a Mountain of Wealth token. avivey created T13104: Policy "Subscribers" does not consider members of subprojects. avivey awarded T13103: Document favicon customization and validate the "ui.favicons" configuration option a Yellow Medal token. avivey added a comment to D19204: Add some more UI reminder text about draft revisions.